This is my very first Australis palette (thanks Cathy!) and apparently it is from Australia (duh!) Frock & Roll contains a pearlescent coral pink, medium grey, cool grey, charcoal and a deep pink. 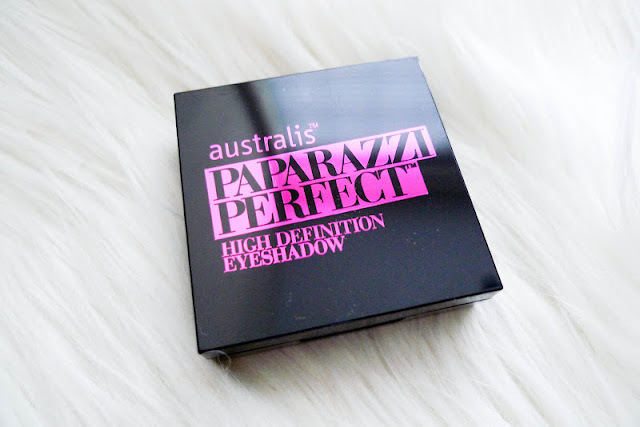 The Paparazzi Perfect HD Eyeshadows are claimed to be formulated with light reflecting photocromatic pigments and enriched with Jojoba and Grape seed oil. As you can see in the picture, the application is consistent throughout 5 shadows. They give a very smooth look without much of fall out, as however not as smooth on the eyes when applied with a brush. The densely formulated texture reminds me of Inglot eyeshadows (see my list of reviews HERE) and this type of sheen is rarely seen in Asian eyeshadows. I'd recommend this for doing intense looks with it, as they are beautifully depicted in pictures. 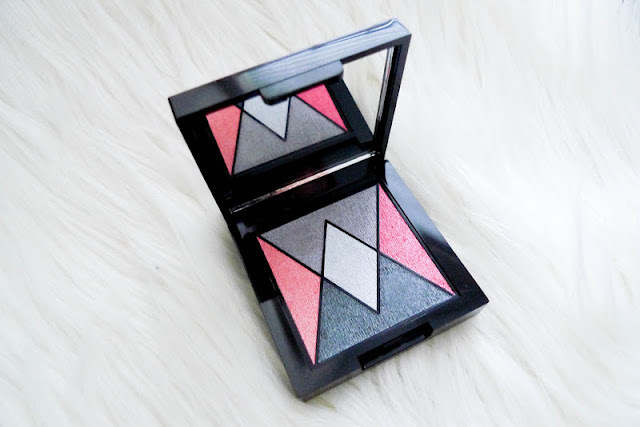 This is my one and only Maybelline Hyper Diamonds eyeshadow palette. GY-1 contains a pearlescent grey, dark grey, white, black and grey shimmers. They are all with shimmers, especially heavy in the lighter shades just like most Asian eyeshadows (Asia Limited Edition?). 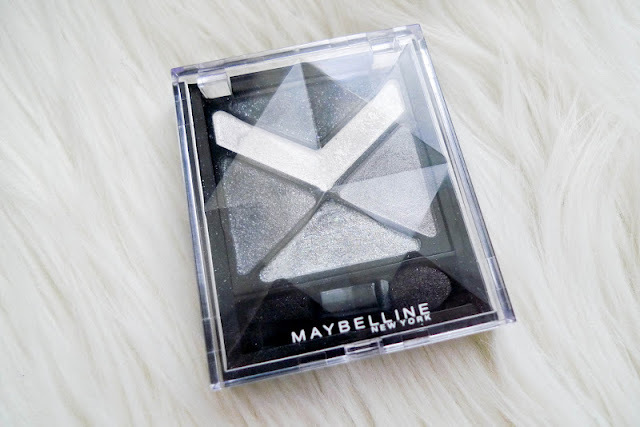 If you are familiar with Maybelline eyeshadows, as I am assuming most of you are, they are of mediocre pigmentation, though deliver if built up. This quad is no exception. As seen in the pictures, the lighters colors are not as pigmented as the dark one in swatches. The farthest on the right actually shows up really nice as a sheen of grey shimmers on the lid. 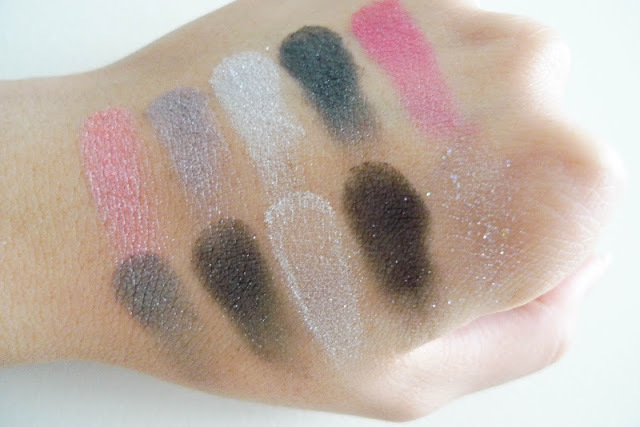 It is not dark so is perfect to layer over other eyeshadows as well. However the white is disappointing in application, I'd say it works so much better with a brush. As a frequent traveler, I am really hesitant on purchasing single eyeshadows / eyeshadow palettes of which I cannot fully utilize every single color. In this highly competitive market these days, it is a must for an eyeshadow palette to be able to deliver at least 3 different looks. Otherwise they do not deserve to be called palettes *random anger wtf. If you like to see how I use the Maybelline quad in action you can refer to this look I did for Christmas HERE. I will update the post when I come around to do a look with the Australis palette. Hope you're all having a great weekend! Today was the second last Sunday before I leave for Boston but I had a great time walking around Hong Kong with my folks. More updates will be posted soon so please stay tuned xoxo.